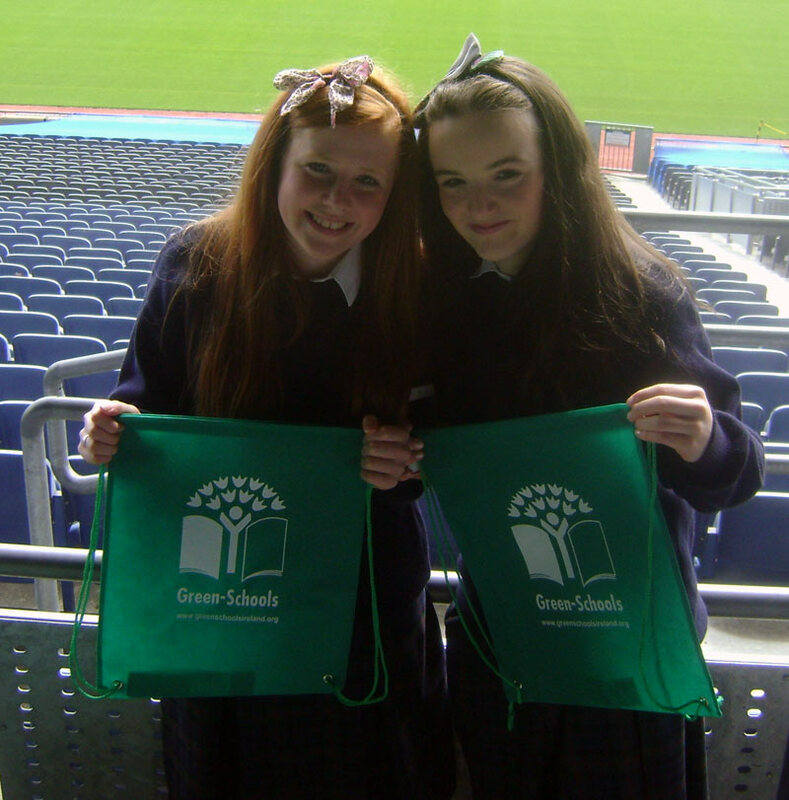 We were presented with our Green Flag for Litter and Waste in Croke Park on Tuesday 22nd May. 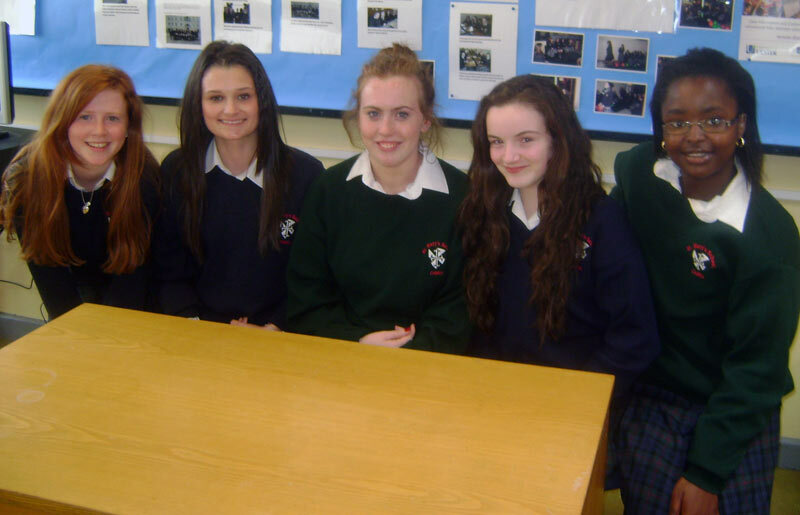 Helen Ward and Aimée Ennis McLoughlin were the two students chosen to attend the award ceremony. 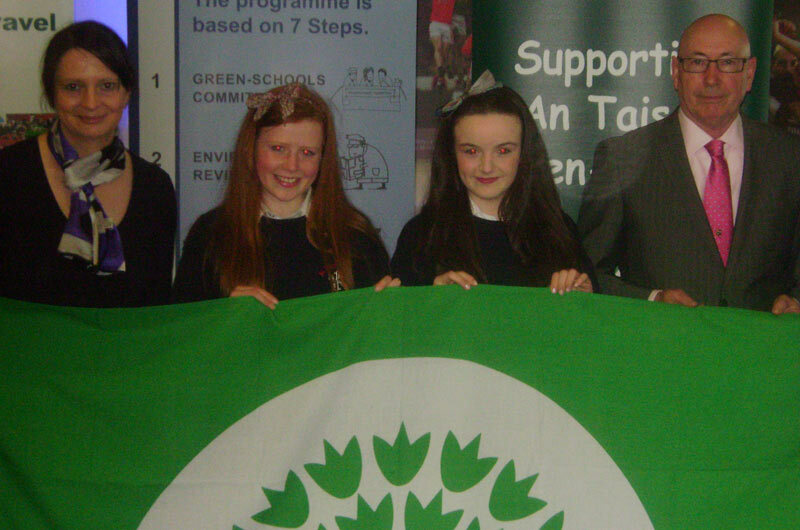 Ms Walshe (Green Schools co-ordinator) and Andy O'Hara also attended the award ceremony. 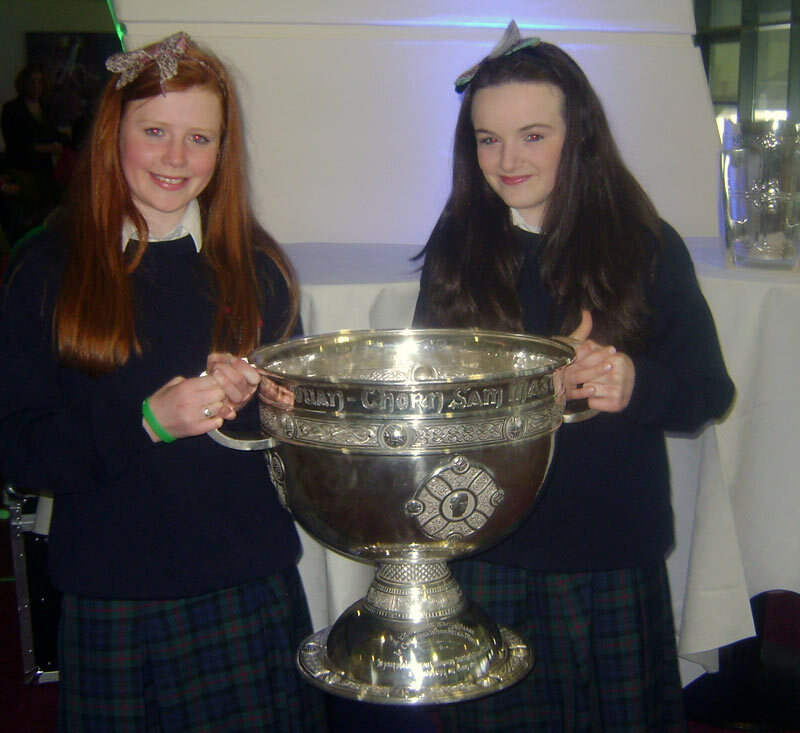 The girls had their photograph taken with the Sam Maguire cup. 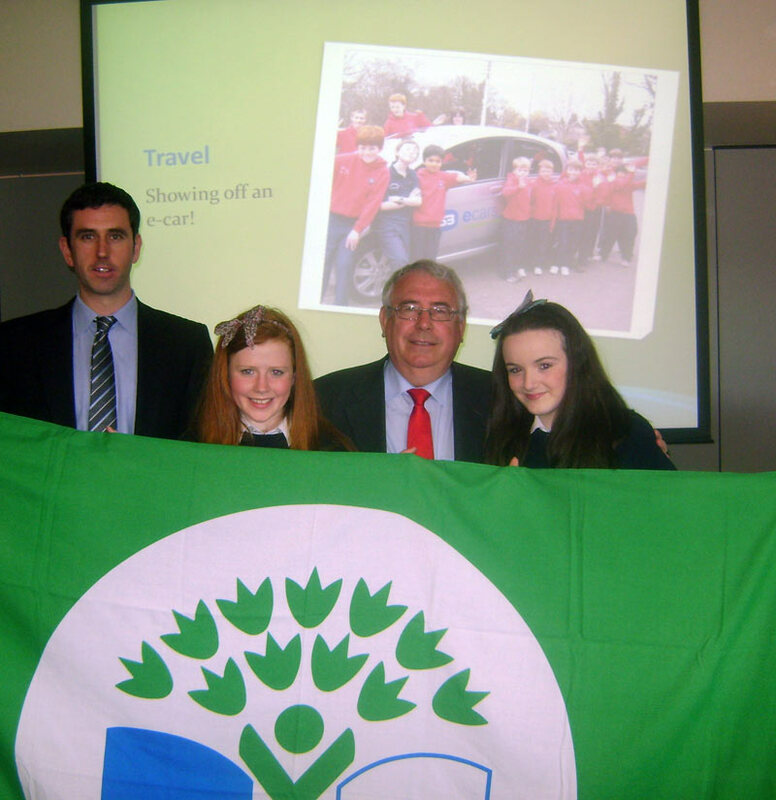 Minister of State at the Department of Foreign Affairs and Trade, Mr Joe Costello presented Helen and Aimée with the green flag. 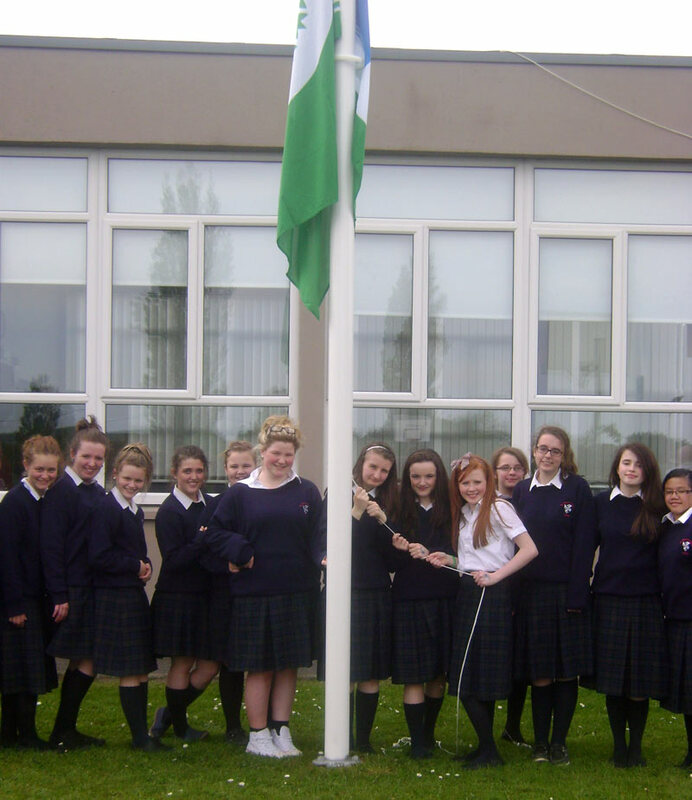 70 other schools from the Dublin region also received their Green flag on that day. 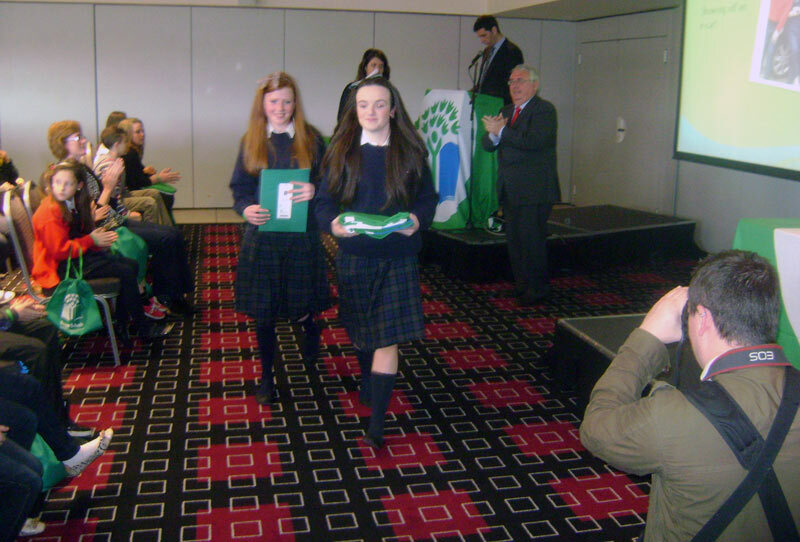 After the ceremony the teachers and students were treated to a lunch in Croke Park. 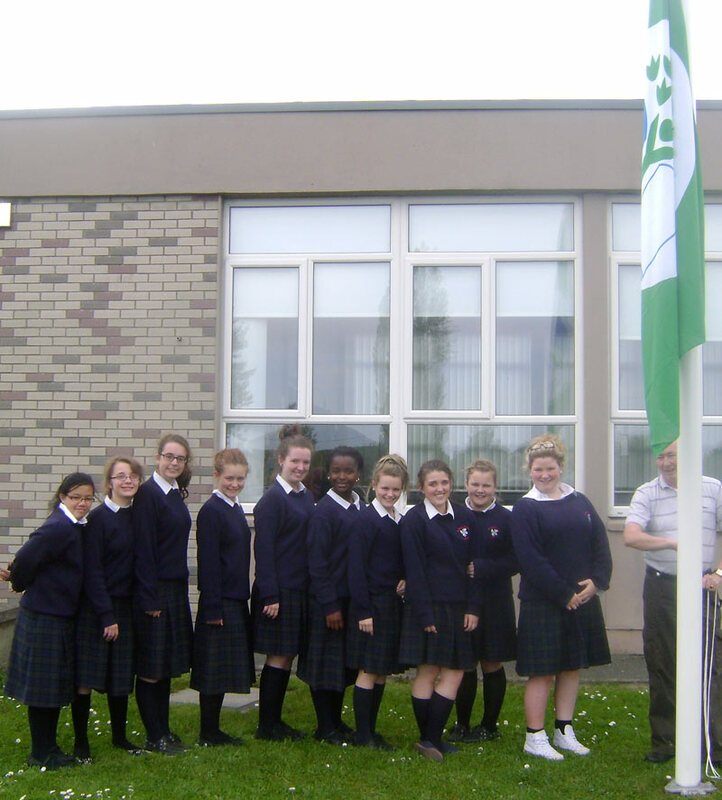 Congratulations to the Green Schools Commitee - Ciara Hamilton, Sarah Jacob, Helen Ward, Aimee Ennis McLoughlin and Abie Osa- who worked very hard all year to ensure that we got our green flag. 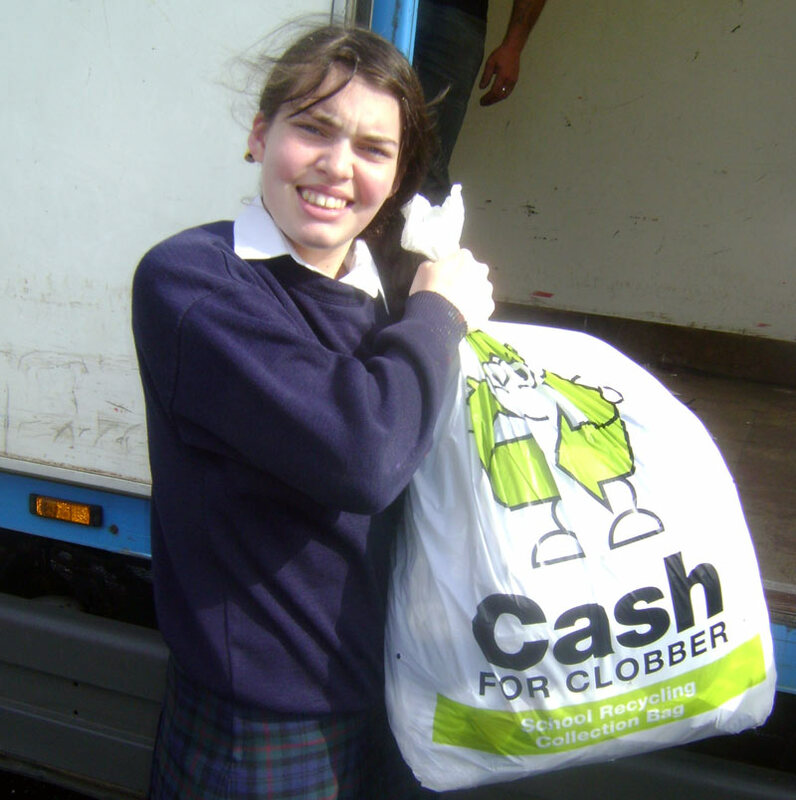 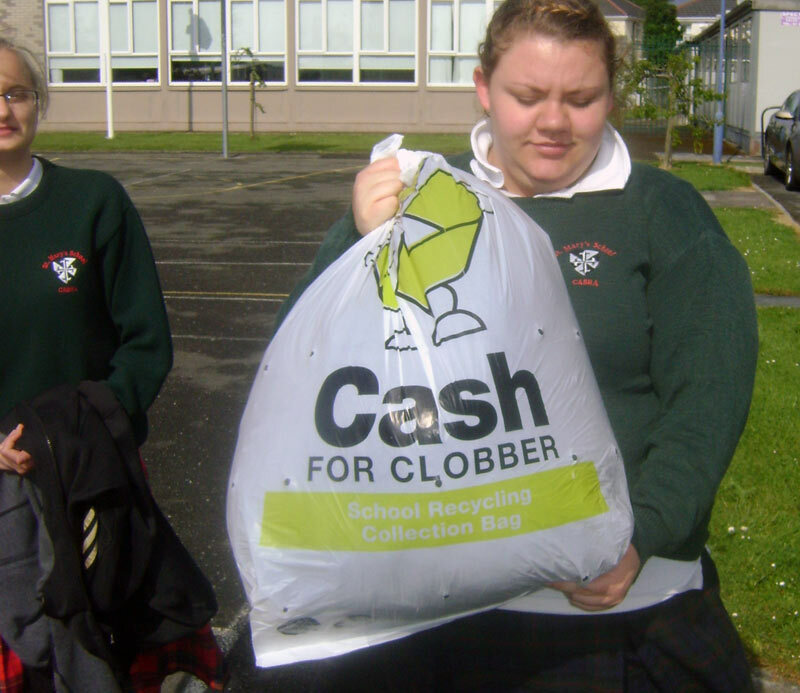 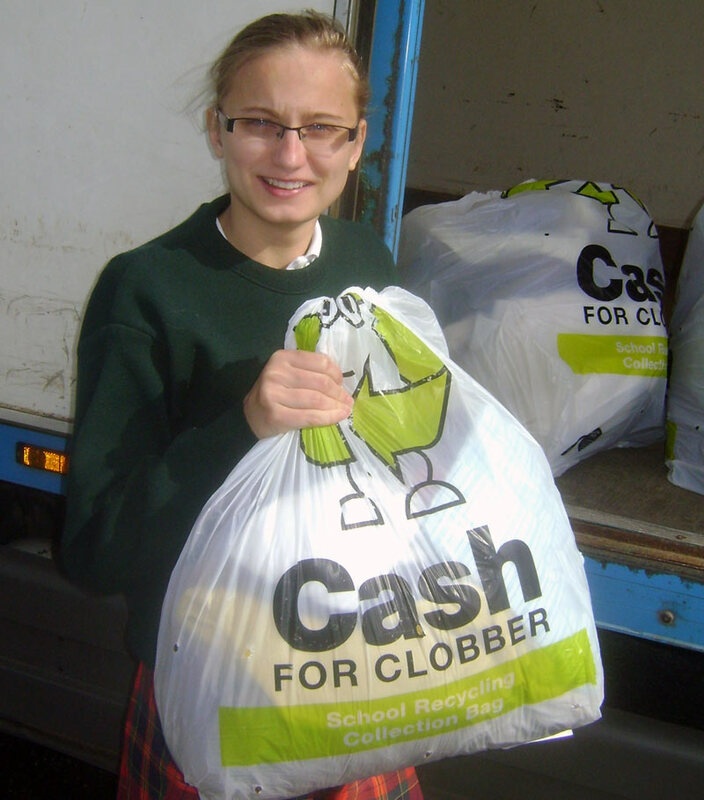 We have since sent lots more bags of unwanted clothes for recycling with Cash for Clobber. 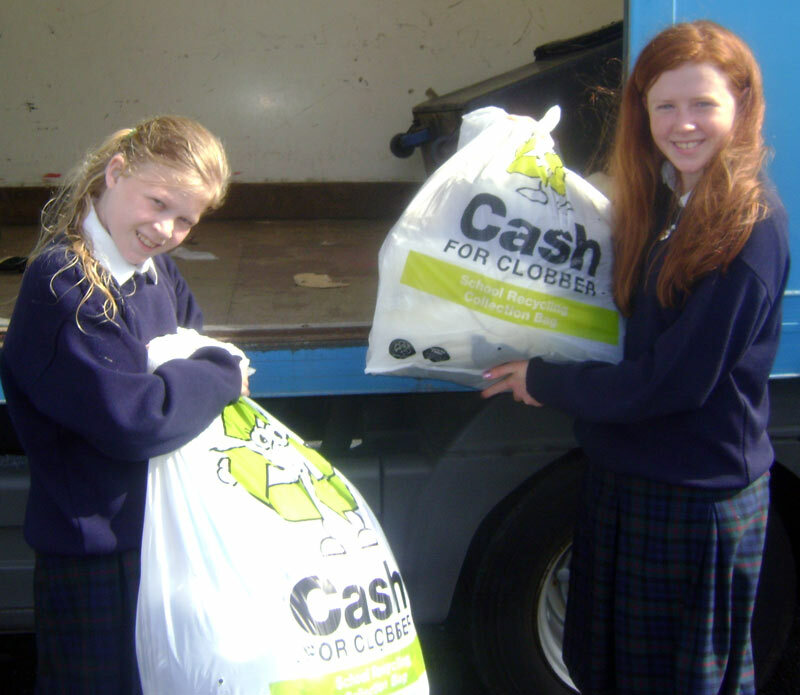 Now we are collecting old mobile phones to get an Apple Mac which will be used for Speech and Language.